If you are a resident of Lowndes County and your child is under five years old, please sign them up to receive FREE books from the Lowndes County Imagination Library Program! Click the 'Sign Up' button and scroll down. Participants will receive a free book in the mail every month until they turn five. 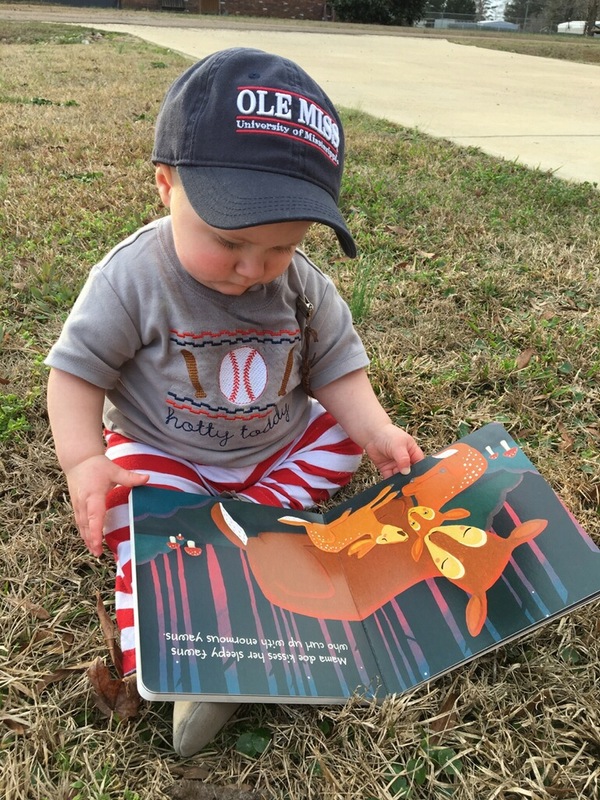 The Lowndes County Imagination Library's mission is to strengthen early literacy skills by providing age- appropriate books to children and literacy building training to guardians. Any child living in Lowndes County under the age of 5 may be enrolled to receive a FREE book in the mail each month from the time they are born. The Lowndes County Imagination Library has been making a steady contribution to the early reading skills of children under five in Lowndes County and Columbus City since 2014. We have recently partnered with the Columbus Municipal School District and the Lowndes County School District to better track our program's impact on incoming Kindergartener's reading skills. Within the the next year, we will be adding information to this section detailing our baseline findings for the impact report. Children who participate in the Lowndes County Imagination Library reading program receive a free book in the mail every month. A child who is registered at birth may receive up to 60 books through our program. The Lowndes County Imagination Library was established in 2014 by the Imes Family. Additional yearly funding is provided by corporate grants and community donations. Since its inception, we have had over 950 children graduate from the program. The Lowndes County Imagination Library ventures out into the city and county to sign children up to receive FREE books at every opportunity. We make a point to attend events hosted by other organizations, such as the public library's Back to School Bash, and the Columbus Night Out initiative to insure that we are interacting with as many community members as possible. We also hold our own programming, visiting schools and daycares to provide reading experiences for children and registration opportunities to parents. .
As an affiliate of the global Imagination Library program, our main initiative is to sign up pre-K children in Lowndes County to receive a FREE book in the mail every month until they turn five. Visit imaginationlibrary.com to sign up for this great program! Books are completely free to participants. We can provide you with a custom certificate in honor of your donation, which you can present to a loved one! This is a completely customizable item. If you would like to make a donation in honor of an individual, in memory, or in recognition, we can create your certificate as a part of your donation experience. Click here to get started! Staff of the Lowndes County Imagination Library are available for school and daycare visits. We are happy to dress up, act silly, and read just for fun in order to ensure that more children are exposed to our main initiative, getting FREE books to children under five. Our sweetest fundraiser of the year! Email us to get put on our honey contact list. Just as yearly honey pulls can be unpredictable, the timing of this fundraiser fluctuates as well. As soon as our honey stores become available, we begin the calls! Honey sells for $15 a jar. There are a few different and equally wonderful ways to get involved with our work at the Lowndes County Imagination Library. Choose an option below, or drop us a note in the "Contact Us" section of our website. Click the button below to see how to reap the benefits of becoming one of our 2019 monthly sponsors. We have rolling opportunities for volunteers. Please click the button below to send us a note about your availability. Click the button below to make a donation. $25 provides one child with one book, every month, for a year.